As you might have seen on my Instagram Stories, the house renovations are in full swing and we’re finally starting to focus on choosing our furniture and decorations. Hurray! We bought our place just over 18 months ago, and at the time we weren’t actually even looking to buy… We were renting a beautiful apartment in Chelsea and our landlord gave us “first dibs” when they thought about selling it, but the price seemed pretty high to us so, to get a “lay of the land” we had a look at what else was on the market in the area and during a quick search we just happened to find a place 3 streets away that seemed too good to miss out on. After the requisite surveys, repeat visits and huge amounts of excitement, we took the plunge and bought our new home! We always wanted to update the interiors – the cream walls and beige carpets were fine, but it felt like there was so much more that we could do with the place – and whilst the layout was also ok, there was room to add an extra shower room and by swapping over the kitchen (which was originally next to our bedroom) and the main bathroom (which was next to the living room) we could create a more usable space. We also managed to buy the extra landing space outside the front door to add some more room and create a utility space to avoid filling up the kitchen with even more appliances. So, after many months of planning and gaining approvals for the alterations, we started the renovations in 2018. We luckily managed to rent the place next door so we could stay in the area and keep a close eye on the progress, but, like many people will say, if I could tell you one thing about doing a renovation, it’s that it will always take longer than you think…! The end is now in sight so the next fun part is starting… interiors! We’ve picked up plenty of inspiration along the way – from the usual suspects: Pinterest and Instagram, but also from our travels. You might remember that we lived in Ibiza last summer, and that low key luxe villa style with plenty of natural elements has been a huge inspiration for us. I’ve also started snapping photos of interiors whenever I visit new places for a meeting, and we’ll definitely be taking some our favourite aspects from the hotels we love to stay at. A couple of years ago we decided that we’d start buying a little memento on our travels to remind us of all of the places we’ve been, and whilst I have to admit that sometimes we forget, we’ve now got quite a collection. Our first buy was a beautiful handmade wooden bowl lined in gold leaf from Franschhoek in South Africa, and since then we’ve bought crockery, napkins and all other bits and pieces… It all sounds pretty eclectic so far, right? But as with my wardrobe, I’m hoping a neutral palette will keep it chic and tie it together, whilst plenty of different textures will keep it interesting. So, what are we planning on buying…? Well, we definitely need a new sofa and we’re planning on buying two small square dining tables that we can push together for large groups or separate to use individually outside on the terrace (like you see in restaurants). We’re also looking for new light fittings and lamps, storage for the office, chests of drawers, side tables and roman blinds for the bedrooms, and then all the accessories that make a home: cushions, mirrors, candles, vases… I’ve been scouring the internet and I’ve been SO impressed with what’s around. There are so many stores that have interesting pieces at seriously reasonable prices. FRENCH CONNECTION HOME – I’ve been so impressed with their collection and they’ve nailed the perfect occasional chair! I love the rattan version and this leather sling chair… heaven! GRAHAM & GREEN – I’m a little obsessed with this collection… We already have this chair (which I’m planning on softening with a sheepskin throw) and this bar trolley, and I’m sure we’ll be picking up plenty more from here! ROCKETT ST GEORGE – when I asked my friends WhatsApp group for recommendations, this was top of the bunch, and for good reason! So much inspiration and so many beautiful pieces that feel like real treasures! SWOON EDITIONS – a new discovery for me and I’ve fallen in love with this sofa in Clay brushed linen… so much so, I think it’s the one! They also have the very best options for super interesting storage solutions that everyone will think you’ve paid a fortune for! WEST ELM – this is such a great all rounder! They have beautiful furniture: I love this chest of drawers, and how chic is this chair, and amazing accessories: I’m lusting after this rug, this hexagonal mirror, these trays, that lamp, this stool… the list goes on…! 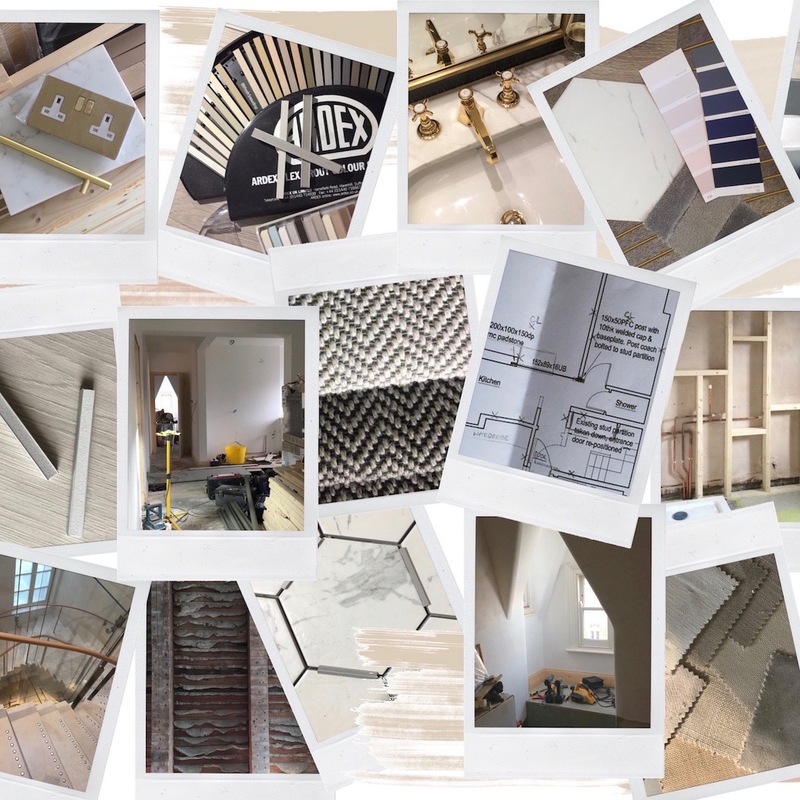 So, if you’re also in the middle of a major renovation project, or you’re just looking for a little bit of interior inspiration to update your home style, here are some of my current favourite picks. More interested in shopping for clothes…? You can check out my previous post here, where I’ve pulled together all of my favourite safari style pieces this season, or for more fashion posts, click here.